Beginning with Imatest 5.1, direct acquisition of images from Sony sensor development boards through the Sony AYA software tool is supported. This new feature allows Imatest to acquire the image directly from Sony AYA, which eliminates the need to save images to file and load them individually into Imatest for analysis. By eliminating the need to save images to disk, development time can be drastically reduced. This page details how to get started with acquiring from Sony development boards. To get started, please follow the steps below. If Imatest is not already installed, please follow the instructions given in Installation and Getting Started. At the time of this writing, Sony AYA does not come with a dedicated installer. To install, unzip the supplied software into a folder in a convenient location, such as to a folder within C:\Program Files. Open any *.icf parameter file. Append system.custom_toolbar(“APIServer”,1) to the file. With AYA open, start monitoring your device by clicking the Monitoring Window button and selecting the modified *.icf file in the subsequent dialog. Ensure that your device is properly aligned with the test chart by following the suggestions provided in the documentation, such as the ‘Photograph the chart’ section in the SFRplus instructions. 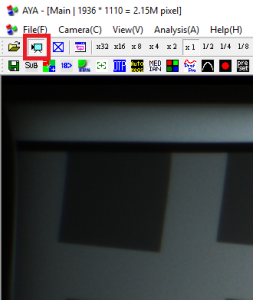 The next step is to setup Imatest to handle the images acquired from AYA. Note that AYA supplies RAW images (i.e. undemosaicked ), so various settings will be need to be supplied by the user. To begin, open the Device Manager by selecting the Data tab on the main Imatest window, and click the Device Manager button. 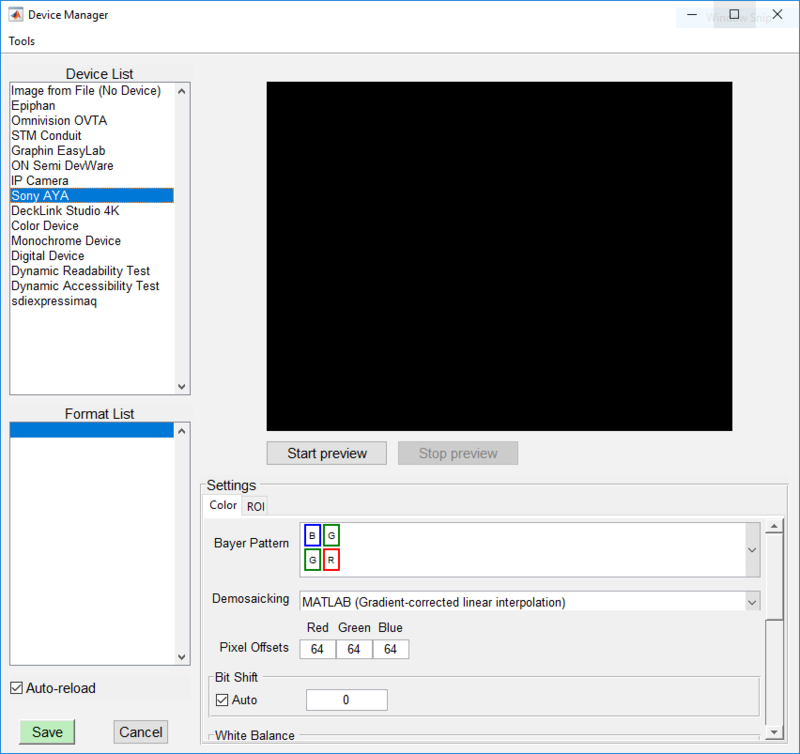 Once the Device Manager opens, select Sony AYA from the Device List. Next, modify any settings for the sensor using the controls in the Settings panel. The controls are displayed within the Color tab and ROI tab. Select the sensor’s Bayer color filter pattern, or Monochrome if the sensor does not have one. Enter any pixel level offsets for the Red, Green, and Blue channels. This control set is directly analogous to the pixel offset controls in AYA. The images from sensors that output bit-depths other than 8 bits-per-pixel or 16 bits-per-pixel can be unreasonably dark when displayed. To lighten the images, either select Auto, or manually enter the appropriate integer value by which to shift the image data (e. g. for a 10 bit sensor either select Auto, or enter 6). 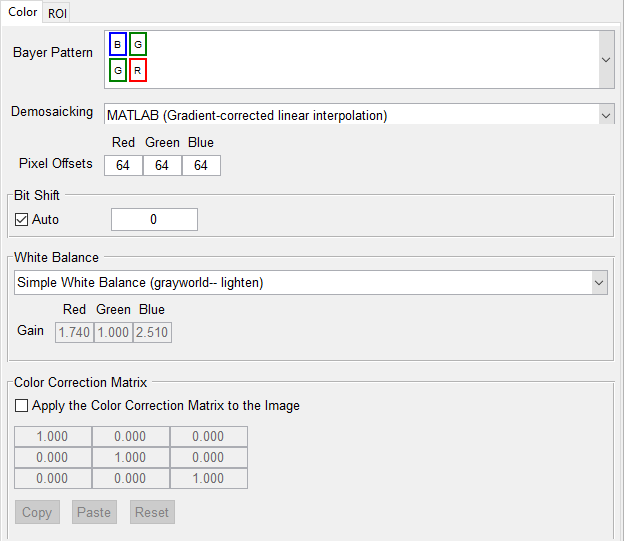 This control is the counterpart of the linear matrix control in AYA and can be used to transform the images from the sensor’s color space to a more general color space. The Copy and Paste buttons allow the user to copy the values from AYA and vice versa. The Reset button changes the values to a 3 x 3 identity matrix. Sony development boards may allow access to the masked portion of the sensor used for offset and dark current calculation. The relative location of any masked portion can be found by taking an image of a bright source and looking for any dark, rectangular section that spans either full width or height of the image. 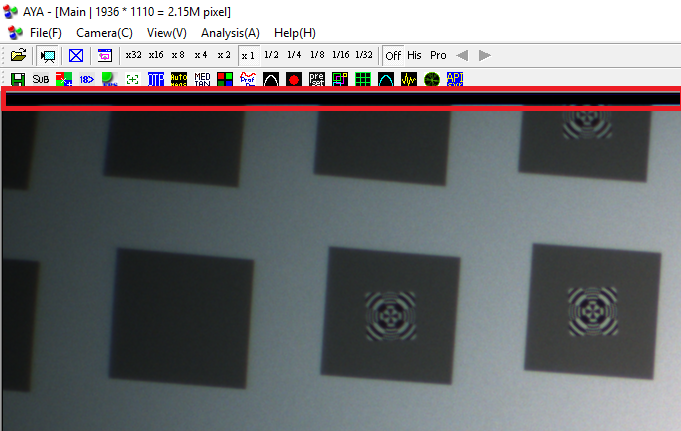 For example, shown below is an image from a sensor for which the masked section is at the top of the image. With the ROI tab controls, the desired section of the sensor can be set. Use this control to state where the masked area is in the image. To exit the Device Manager, press the Save button. Imatest is now configured to acquire from the Sony Development board. Open any of the supported modules to begin testing the sensor.